If you’ve been thinking about selling real estate in York or Durham Region, our 30 years of experience will help. Here are a few tips to start you thinking. Health, luck, finances, emotional stability, and creativity, for better or worse, play a part in determining the environment people choose to live in. Let the 'you' shine through with personal touches such as light fixtures, furniture, bed making, rugs, and hanging art. York and Durham Region home sellers face fierce competition with the many homes that are already staged. Here are six simple inexpensive tips you can't not follow. Part of our commitment great service for both home buyers and sellers in Toronto and the GTA, is to stay current with market stats and trends. Click on a link below to view the latest from the Toronto Real Estate News. Discuss with your RE/MAX agent your minimum conditions, acceptable closing dates, and the lowest price you’ll accept from a potential buyer. With this information, your agent can work with the potential buyers’s agent to create an offer that will be acceptable to you. If you've decided to sell your home, the next step is to look at it from a marketing perspective. Here are some tips for preparing your home to put its best foot forward, and get the price it really deserves! There are many reasons why people choose to sell their homes, but most sellers have the same goal: to sell their home for the highest amount possible, in the shortest amount of time. If you're considering selling your home, here are some factors to keep in mind. 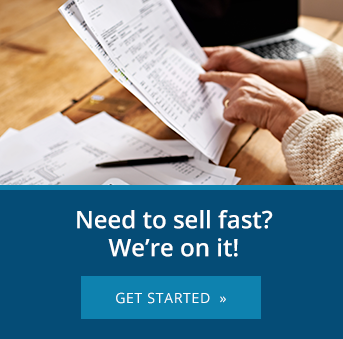 Why choose to sell with a real estate broker from RE/MAX? Buying or selling a home is likely the largest and most important transaction you’ll ever make – and with RE/MAX you'll have the trust and power of the most widely recognized real estate brand in the world at your back. Drone videos - easy or complex? Drone footage is a great way to give potential home buyers a better idea of what your property in York or Durham Region has to offer. It doesn't have to be complex, but there are certain considerations you must keep in mind. Just like there is more than one potential buyer for your home, there are multiple types of social media to get the word out that it's up for sale. Here's how you can harness the power of social media to sell your home.